A few years ago I spent time in the Himalayas, traveling all around Nepal, and northern India. During that time I visited several music, and cultural centers where I purchased a lot of instrumental releases. 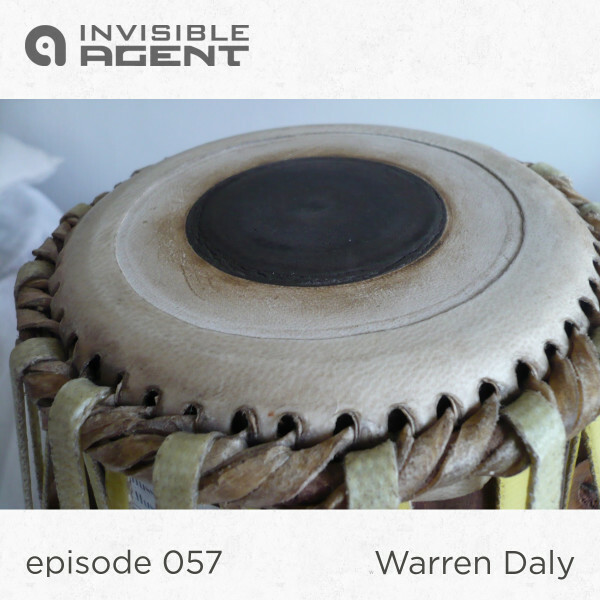 I immersed myself in the amazing sounds of the Tabla, and I promised myself I would combine all my favorite tracks in a podcast. A friend (Richard) recently visited me on his journey to the Himalayas, he inspired me to finally combine some of my favorite music from the Indian subcontinent. A drum that is synonymous with the region, estimated to be in use for over 2000 years, it requires complex finger tip and hand percussion techniques, and produces a range of wonderful and elaborate sounds. It is made up of 2 drums. The smaller drum, played with the dominant hand, is sometimes called dayan (literally “right”), but it correctly known as “tabla.” Made out of teak or rosewood, it is tuned to the specific note of the soloist’s key, and complements the melody. The larger drum, played with the other hand, is called bāyāñ (literally “left”). The bāyāñ has a much deeper bass tone, normally made out of copper or brass, much like its distant cousin, the kettle drum. Combined they form an amazing instrument, for the record, this mix contains a myriad of traditional instruments, including stringed instruments such as the Sarod, Sarangi, and Sitar, and many others. Here’s an overview of some of the artists featured on this podcast. Amjad Ali Khan is an Indian classical musician who plays the Sarod. He has performed internationally since the 1960s. The sarod is a lutelike stringed instrument of India, used mainly in Indian classical music. Along with the sitar, it is among the most popular and prominent instruments in Hindustani classical music. The sarod is believed by some to have descended from the Afghan rubab, a similar instrument originating in Central Asia and Afghanistan. The name sarod roughly translates to “beautiful sound” or “melody” in Persian. I believe Navaraj Gurung, and Suresh Chandra Pradhan are both from Nepal. I bought their music at the Kathmandu Music Centre, after returning from one of my solo treks. Both of these musicians seem as if they’re naturally linked by rhythm and melody, I am certain their live performances are phenomenal. Nepal is one of the most beautiful places I have ever had the pleasure of visiting, rich with culture, and incredible music. A little further south in Northern Indian lives one of the greatest musicians of our time. Zakir Hussain, a classical tabla virtuoso of the highest order. His incredible performances have established him as a national treasure. Widely considered a chief architect of the contemporary world music movement, Zakir’s contribution to world music has been unique, with countless historic collaborations. Mickey Hart (from the United States) a musician who was a member of the rock band the Grateful Dead, produced the album Planet Drum. He played with percussionists from around the world, and incorporated their different musical styles. Musicians from India (Zakir Hussain and T.H. “Vikku” Vinayakram), Nigeria (Sikiru Adepoju and Babatunde Olatunji), Brazil (Airto Moreira, and vocalist Flora Purim), and Puerto Rico (Giovanni Hidalgo and Frank Colón). Another quality album you should consider adding to your collection. Sultan Khan (1940 – 2011) was an Indian sarangi player and classical vocalist. Sultan Khan was a member of the Indian fusion group Tabla Beat Science, with Zakir Hussain and Bill Laswell. You should check out all the Table Beat Science releases, pure energy, and amazing melodies. Vilayat Khan is a sitar maestro, a pioneer who at the age of 8 recorded his first 78RPM Vinyl, and performed his last concert in 2004 at the age of 75. He introduced classical Indian music to the west, and is widely regarded by many as the greatest sitarist of his generation. You might notice the final track, Parade Samba Music of Argentina, is obviously not from the same region, but it’s an amazing track, and complements the previous tracks so well I couldn’t help but include it. After a whirlwind tour about some of the artists featured on this podcast, I hope you have time to enjoy this mix. Please buy the music, you’ll be helping support some of the greatest musicians of all time. I’d also like to bring your attention to our latest release by Audio Mainline, Soma: an elixir named in the Rigveda, a collection of Sanskrit Hymns from India.